Meet a wide selection of quality wood and rattan furniture collection included the design of natural materials. Find the best product for your best location such as room, home, office, resort or hotel and any places you need. TNN Furniture creates and designs to cover the most your satisfaction. We confide on our meticulously through the elegance of every product. 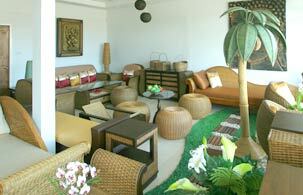 Come to visit TNN Furniture’s showroom at Surin Beach, Phuket. Many styles to select or have an original piece designed and made; tables, beds, cabinets, mirror frames, chair, sofas and accessories.